New technologies not only open up new opportunities, but also give new meanings to already familiar expressions. So is in the case of remote access, which until now was associated with a program allowing the user to connect to the resources of another computer through the network. The user was able to work on files available on the selected device, but use different equipment than the device to which he connected from a completely different location. Such solutions emerged in response to the need to ensure sustainable access to own files and as a result of increasing mobility of workers. Remote access allows users to connect with their own PC from anywhere, as if standing right in front of it. It was and is the ideal solution not only for employees but also for the people responsible for the proper functioning of computer hardware. It is particularly convenient for distributed organizations. The IT staff is able to install new programs or update software on other employees’ computers without having to leave his desk. Remote access can also raise a lot of doubts, especially in terms of corporate data security. Must Read: Enterprise Cloud Deployment Failure – Who Is To Blame? However, these can easily be eliminated by granting appropriate authorizations and blocking potentially dangerous functions, and thus remote access becomes a very valuable solution that improves the work of the company. An example of this is enabling an employee to connect to his home PC from the office, but blocking communication in the opposite direction. Thanks to the development of cloud computing and virtualization, the meaning of “remote access” has changed. The world in which we live requires us to work from virtually anywhere. Spending 8 hours in front of the desk no longer matters as much as the effects of the work and, above all, constant contact with the clients and fast response to the competition. The speed of action is a very important factor in the success of many businesses. Nowadays, the office can literally be brought by employees wherever they go, since data can be accessed from virtually any location. In addition to flexibility, remote access also ensures significant reduction of costs. At present, remote access does not have to rely on connection between two devices, but on any device accessing data placed in the cloud. Such centralized data storage and management in one place – the cloud, has a huge impact not only on their availability, but also safety. Virtualization used in such solutions, results in the user only seeing a snapshot of what is actually in the cloud, which significantly reduces the load. In addition, data is transmitted through an encrypted connection and their loss is virtually impossible. Hardware theft or failure will not deprive users of data. Access to data may be blocked only in two cases: when the user forgets their login information or does not have a network connection. Such access is also a significant factor in cost reduction for both employee and employer. The employee does not have to come to work in order to carry out their tasks, and the employer does not have to worry about the quality of equipment and employment of persons responsible for its maintenance and administration. It is worth noting that such cloud-based solutions allow for effective use of even older, worn-out equipment. In conclusion, the continuous access to data is now virtually a requirement not only for companies, but often also for individuals. Safety and cost play a very important role. Solutions such as remote access are able to meet these requirements without incurring high costs. Remote access is pretty useful for lots of businesses, as it helps you to fetch all your required and important at any place and also ensures the complete security and privacy of your data. 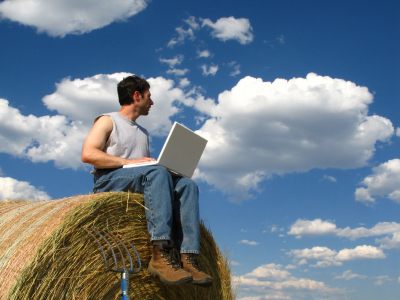 There are many solutions on the market which allow to work remotely without limits. device (laptop, smartphone, table or thin client).